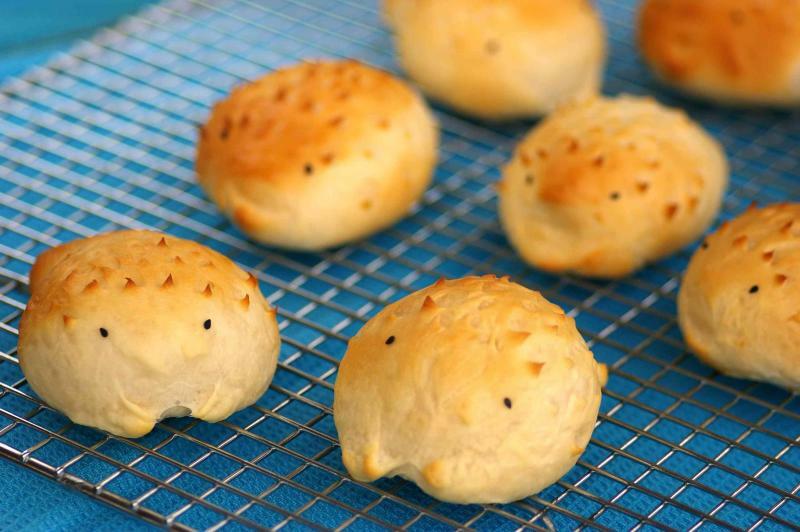 Soft bread buns with various fillings are the go-to snack for all occasions. This recipe was first published in Amy Beh’s column, Cook’s Nook. Place sifted flour, bread improver, milk powder, yeast, sugar and salt in the bowl of an electric mixer. Add butter and milk, and beat until a smooth and elastic dough is formed. Cover the bowl with a damp tea towel and leave the dough aside to proof for 40-45 minutes. Divide dough into 55g portions. Wrap each portion with a tablespoon of filling. Shape into a puffer fish and using a pair of scissors, snip ‘spikes’ on the fish. Brush the surface with milk. Set aside to rest for 20-25 minutes. Preheat oven to 180°C. Bake for 15-20 minutes or until golden brown.